‘If you could meet yourself, what would you say?’ is just one of many questions Another Earth poses. Rhonda (Brit Marling) is a bright student with a passion for astrophysics, and John (William Mapother) is a renowned music professor. The lives of the two tragically collide just as another planet is discovered not far from ours with similar characteristics. As the mysterious blue planet gets closer, it’s revealed that it’s actually a mirror Earth- dubbed ‘Earth 2’- with every person’s identical ‘them’ on it. The story orbits the relationship of the two as Earth 2 gets closer, and a guilt-ridden Rhonda starts to think this parallel Earth could be the fresh start she’s been searching for. questioned the certainty of humanity. It seems as though the subject of ‘what’s out there’ is on everybody’s minds. 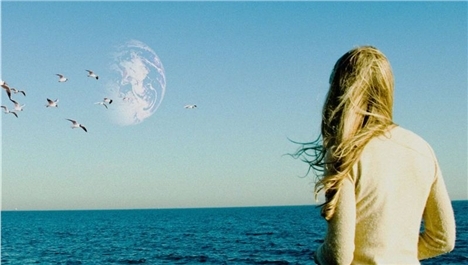 Rather than offering an answer, Another Earth reinforces how baffling the universe is.